Always accustomed to working with machines and conversing with your office computer or tablet? Gadgets today appear to have more space in our reality than nature does. This is why adding green plants and beautiful landscape to the office and indoor areas we work in can be a mood lifter. Imagine a 30-ft tree next to a winding staircase in the lobby. Makes you smile, right? Trees in your office space offer needed color and life to an otherwise dull expanse of cold space. Trees are magical and stunning with that aura to ease and relax one’s being. 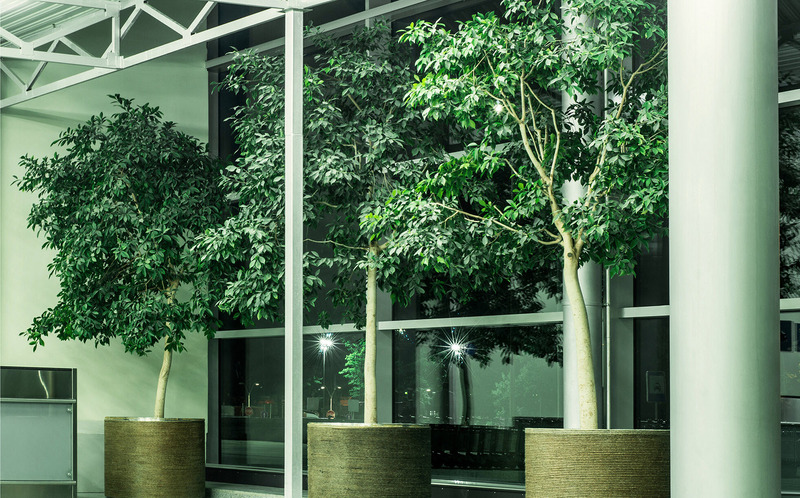 So, if you’re looking to create an indoor commercial landscape design, without a doubt, trees should be at the heart of it all. Trees are synonymous with life and they should be part of your office as much as laptops and chairs. They offer building occupants, who spend most of their busy lives indoors, a temporary (but magical) escape to nature. Some studies have found that by having abundant plants, like trees, in the office, employees are less stressed and more productive! No matter how ordinary or intricate, conventional or stylish your space is, the best indoor trees will always add that extra element. Your space can always use a little refreshing green touch whether you’ve been in business for decades or just a few weeks, or you’re a large corporation or a startup. An admirable way to bring an exquisite aesthetic charm to the setting of your space is our unique selection of the best indoor trees. Many trees can thrive indoors if cared for properly, but to help you with your choices, we rounded up 7 of our favorites to get you started. Caesalpinias, better known as the Bird of Paradise, has large bright flowers with shades varying from yellow, fiery red, and orange. These beautiful shades make the indoor landscape light up with vibrant color for long periods of time. The Giant Bird of Paradise (Strelitzia Nicolai) as pictured above is a favorite of ours and is particularly striking in an indoor setting with beautiful large glossy green leaves and large white flowers with touches of blue. The Bird of Paradise range in size from medium shrubs to small trees. It can survive on little supplemental watering, and only needs deep watering every two weeks while blooming to keep them healthy and prolong the blooming of those pretty flowers. The Bird of Paradise prefers well-drained soil but it is tolerant of most soil conditions. 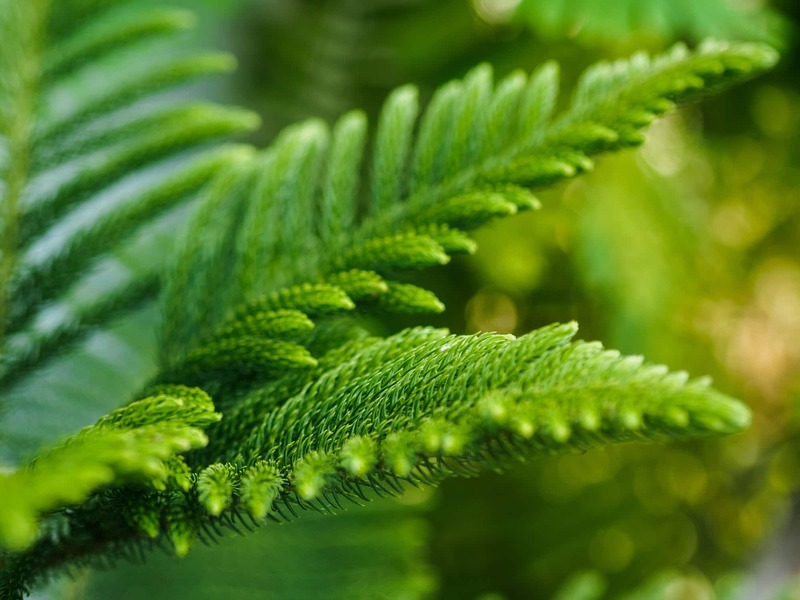 Making its way to our list of the best indoor trees is the Norfolk Island Pine, a pyramidal to a columnar evergreen tree. It has a well-proportioned form that gives prominence to its whorled, horizontal branches in layers diverging outward from its strong standing trunk. It is native to Norfolk Island off the coast of Australia (hence the name). The light green foliage and graceful branching habit of this Australian native are what gives it its charm. The Norfolk Island pine tree is frequently used as a little, perky indoor Christmas tree that you can buy anywhere during the holidays. But, don’t assume this tree is a seasonal indoor plant. You’re still left with a contemporary piece gracing your home or office when the Yuletide season ends. With its large arching branches and long pointed leaves, a Weeping fig (Ficus benjamina) looks glamorous indoors. It can stand a range of lighting conditions, but it likes consistency, especially with watering. It looks its finest when grown in a space with bright, indirect light. 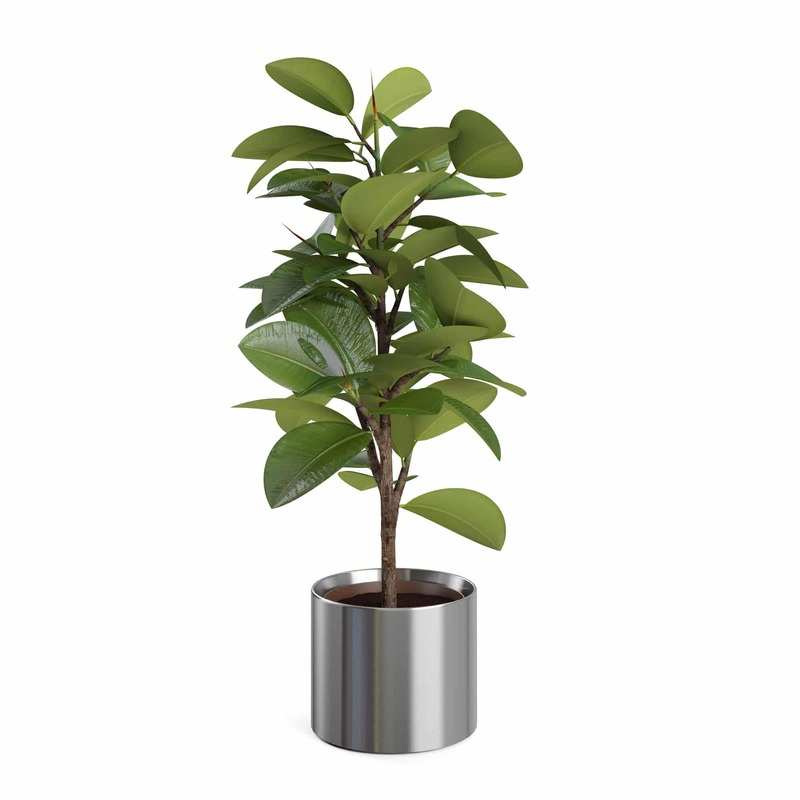 A Ficus in the office can help filter out pollutants that commonly occur with office furniture and carpets. The Weeping fig is an amazingly rewarding plant to grow indoors. 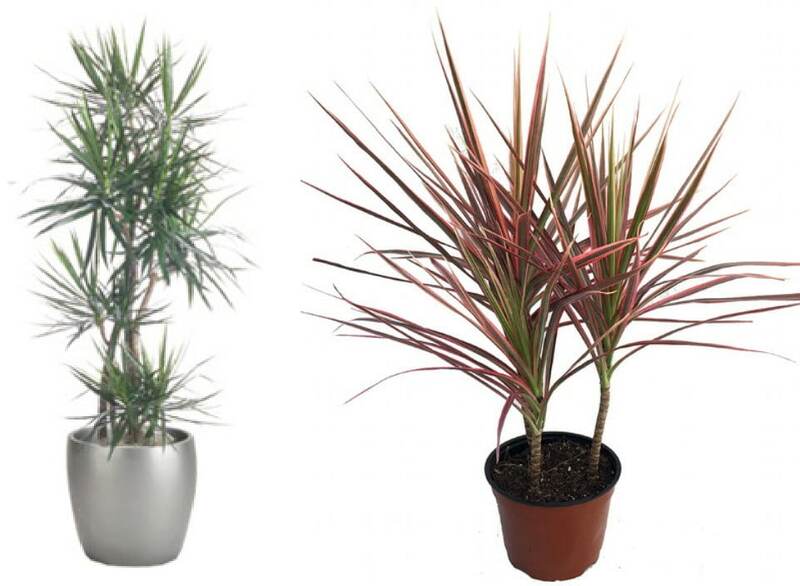 It makes an elegant corner plant and large indoor tree for your office foyer or entryway. There’s a dragon in the house! Dracaena marginata, famously known as The Dragon Tree, gives justice to its name. This indoor plant has a beautiful architectural look with leggy ambrosial branches towering upward that support a canopy of rose-shaped spiky foliage. It has solid leaves shaped like a sword, that are often red-tinged, ergo the ‘Dragon’ in the name. The Dragon Tree is definitely one of the effortless indoor trees to care for and maintain, plus, it’s slow growing. This tree looks amazing both in homes and commercial spaces. The Umbrella Plant is underrated when considering a list of best indoor trees. We’re giving this unappreciated indoor tree a second look, considering that it’s a low-maintenance, easy-to-grow indoor tree that can give your office an elegant look with beautiful foliage. The Umbrella plant can grow with single or multiple trunks and branches displaying whorled foliage (like fingers coming from the stalk). With a range of four to twelve or more leaflets, it gives this plant that umbrella-form appearance, hence the name. 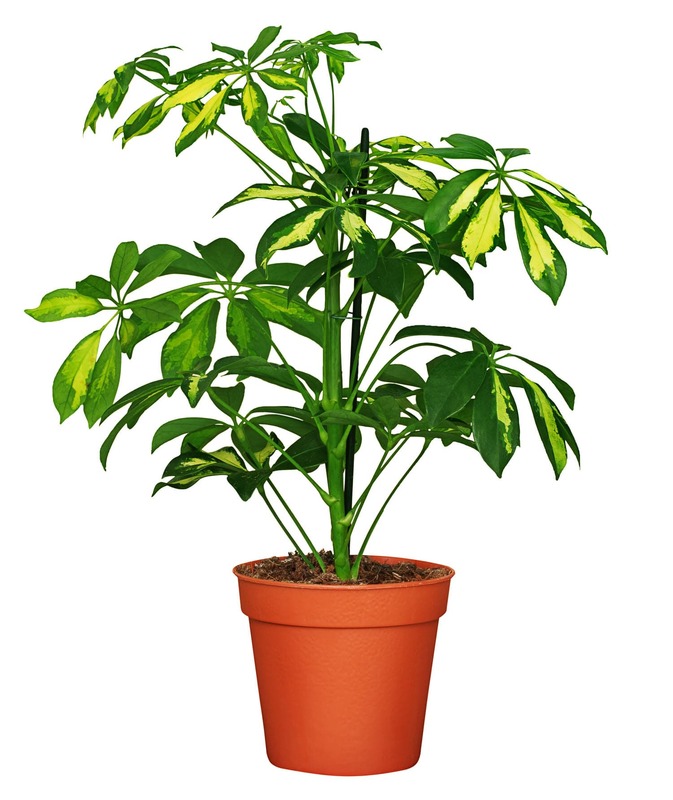 The Umbrella Plant can be kept in a convenient size when grown indoors. That’s a range of 4 to 8 ft in length. The great news is it responds nicely even to indoor limitations. 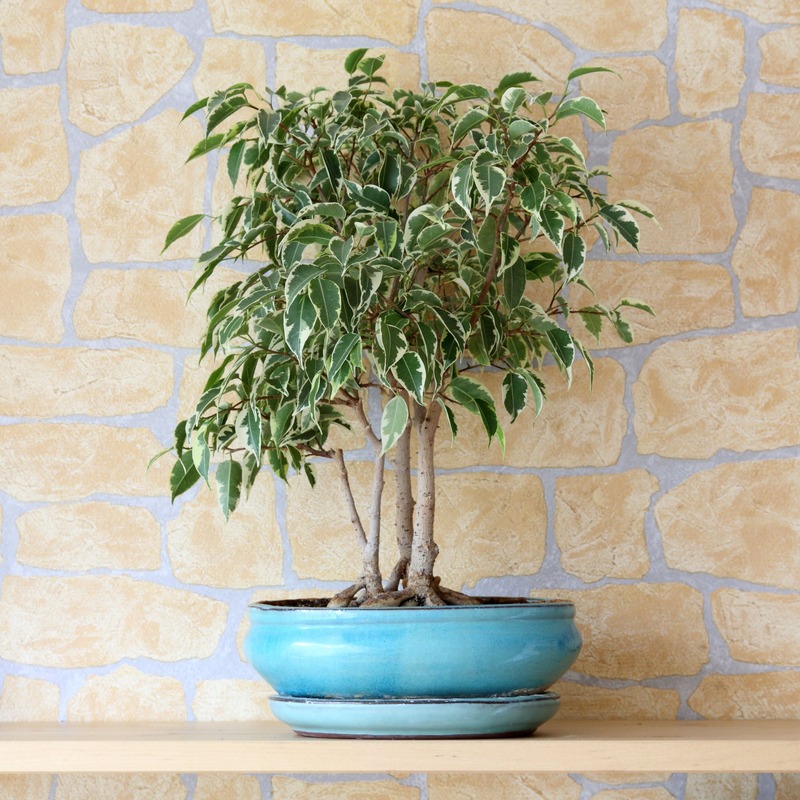 Looking for the easiest indoor tree to care for whilst growing tall with large, glossy leaves? Then you’re going to love this low maintenance plant. Ficus Elastica, commonly known as the Rubber Tree, has very low maintenance requirements and still can grow up to an impressive height. The Rubber Tree can be appreciated as either a medium-sized indoor plant or grown to become the center of attention in your commercial space. Considering the size of this indoor tree, it makes an excellent area divider and privacy screening on patios and decks as well. This is the new “it” of indoor trees. This is that one plant that has been gracing the covers and spreads of magazines around the world for the last several years. But it’s not just about the beauty of this indoor tree that made it to the top; it makes an excellent indoor tree. What’s not to like about this tree? Nothing! It’s tall and columnar. It has those big, violin-shaped leaves that lend melodramatic design. 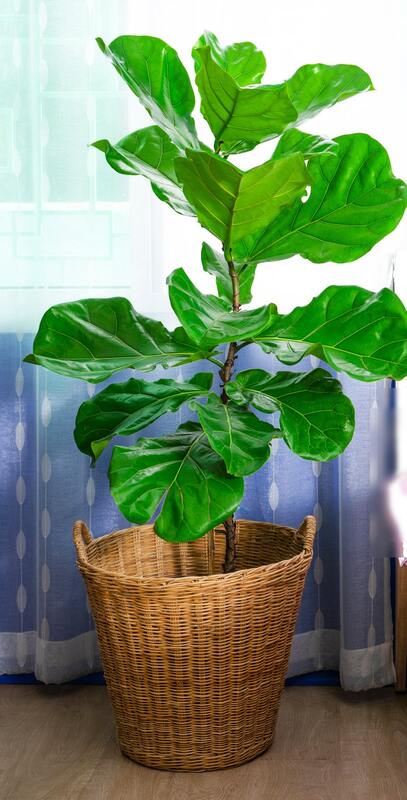 With its waxy green foliage, the fiddle-leaf fig sets contrast with light, dull walls and furniture. What’s more? This tree is a tough plant that easily adapts to a variety of conditions. When it’s accustomed to the environment it’s in, it can grow to 6 feet or higher. So now, you don’t have to work in an office without the beauty of nature; you can, in fact, get one of the best indoor trees in our list to adorn your space. Here at Inside Plants, we can imagine how burdensome it is to add greenery to your commercial space. Leave the care to professionals like us. Give us a call at 951-371-4637 or fill out the form on the right side of this page, and let’s talk.